CHEW: On sale 5/28/14: CHEW/Revival crossover flip book! 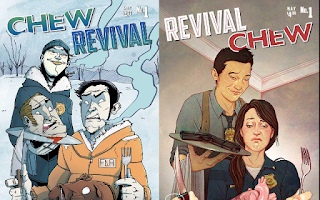 On sale 5/28/14: CHEW/Revival crossover flip book! IDW Games announces multi-game CHEW deal!